The world famous happy monk Ajahn Brahm will be giving a talk on the 9th of june 2014. In the Tropicana Golf & Country Club. Click Here to Register. Do register ASAP. As places are limited. 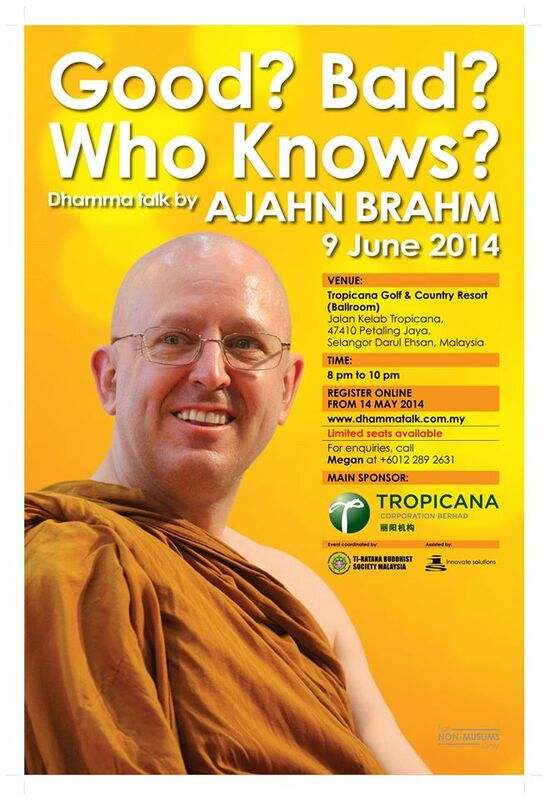 Dhamma Talk by Ajahn Brahm on 9 June 2014. Event’ s Main sponsor Tropicana Corporation Berhad, coordinated by Ti-Ratana Buddhist Society & assisted by Innovate Solution. This entry was posted in Life, News and tagged buddhism, Happiness, meditation, posivity by TheGoodGoodGuy. Bookmark the permalink.